Why PhysioWellbeing Manchester is the choice for you! PhysioWellbeing specialises in musculoskeletal injuries for clients in and around the Manchester area (soft tissue or joint problems). We use a highly specialised assessment and treatment techniques. PhysioWellbeing prides itself on patient care by guaranteeing a service driven with passion aiming to accomplish optimum care for all PhysioWellbeing clients. PhysioWellbeing offers a service tailored for not only the professional athlete clientele but also for the general public. Our treatments cater for those who may have noticed an increased strain in daily life with back pain or a limit in ability playing a certain sport. Whatever the injury may be, we are confident that you will be satisfied with the guaranteed hands-on approach used by the PhysioWellbeing physiotherapist to achieve the best recovery possible for our clients. All PhysioWellbeing clients in the past, presence or future receive the same optimum level of care and service using pragmatic skills based on the true cause of the problem. 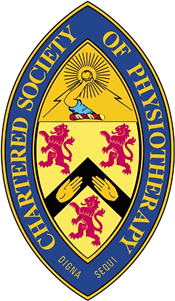 We have no doubt that using a combined logical approach for each patient is crucial and have several physio clients in and around the Manchester area that will testify to our level of excellence, please view our testimonial section. We differ in many ways for the better! For example, in the majority of cases, PhysioWellbeing may not give strengthening exercises for patients if they describe pain. Our logic behind this is whenever the body feels pain it is a warning. The pain is a reaction to an inflammatory response so strengthening exercise should not be done until the inflammation has settled. In this period, strengthening exercises causing any pain should be avoided in order not to disrupt the inflammatory cycle, therefore this aids healing and recovery. This tends to be a common relief for the majority of new clients who expect to be given a physiotherapy treatment of exercise to self-manage their condition but instead receive an elite hands-on approach! We also tailor our sessions by being flexible!! PhysioWellbeing treatment sessions are longer than the average 30mins treatment session that you’ll usually find elsewhere. This is because we are flexible to ensure the best treatment possible for our clients. Our sessions last at least 45mins depending on the type of injury and the treatment times can be increased if the client presents with a complex injury and needs more treatment time. We also ensure a treatment is always provided in the initial assessments. Why wait any longer? Get in contact today. We are confident that we have the solution for you to ease any pain or suffering that you may be experiencing. Please fill in your name and contact number below and we’ll be in contact with you very quickly to book in a consultation and treatment for you.